Today we are having a chatting with mompreneur, Co Hodges. Co is a mother of two, partner and friend and is a photographer and has co-founded an online photographer academy, called the Unravelled Academy. Co’s love for photography is because she loves to tell a good story. In addition, the co-founder of Unravelled Academy and Co also launched a nonprofit. Co and the duo talk all about struggling as a mother and wife wanting to switch careers, how she built a community of photographers, and documenting your life through images. CO shares about The struggles of MARRIAGE, Motherhood, and entrepreneurship. One of the biggest changes she made is that she took a huge leap of faith into her business and found who she wanted to be and who she was. Don’t forget to join our Facebook group and follow along on Instagram! 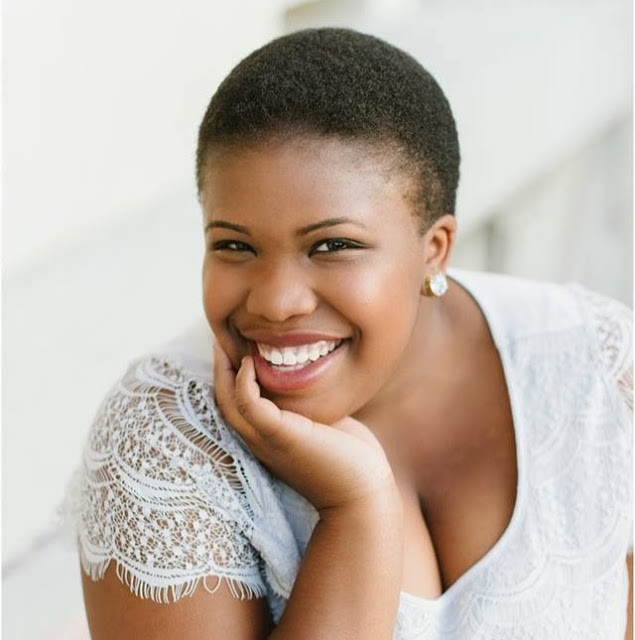 Today we are having a chatting with mompreneur, Jasmine Womack. Jasmine is a book publisher and consultant who teaches women how to own their voice, organize their ideas, self-publish their books and use their books to build their business. She's helped hundreds of clients write and publish their books, and develop their content for speaking, masterclasses, and online programs so they can expand their reach and their revenue. Jasmine is also a mompreneur raising her two children, her son and daughter. Jasmine and the duo talk all about juggling two children, going through a divorce, studying for her Master’s degree, and writing a book. Jasmine shares about her own passions as a woman and as a momma, and talks deeper about why she launched her business. One of the biggest changes she made as she began juggling all the things was reconnecting with faith. She communicates her faith with her children with optimism and affirmations with her daughter. Today we are having a chat with our friend, Marta Spirk. Marta is a mompreneur coach and motivator, raising 2.5 year old triplets with her husband out in Denver. Marta was a language teacher/interpreter/translator for 20 years and after dabbling in entrepreneurship through network marketing, she now runs a success coaching business, helping mompreneurs find their true passion and turn it into a profitable business. Marta and Nicole talk all about Marta’s family, and how she balances her three toddlers and their personalities with her business. Marta shares about her own passions as a business owner and as a momma, and drops some major truth on how to juggle it all with so much heart. Towards the end of our chat, Marta says, “Just take messy action.” We talk about true that statement is, and how valuable and actionable it can be in our daily lives as entrepreneurs! Be sure to grab the free download below so you can remind yourself each day to take messy action! On today’s episode, Rachel and Nicole approach a topic that’s been on their heart and something they currently struggle with: friendship. They talk about their current routine with community and friendship and what’s been hard for them. Rachel cries and talks about her most vulnerable season of life she’s in. Nicole shares about her unique situation and her struggles with loneliness. They are candid, honest, and offer some suggestions for growth for all of us. As Mompreneurs, we are juggling a lot. Relationships being one of those things. Join us as we navigate our busy schedules and need for community all at the same time. Nicole Andreini is a mama, disciple, sister, daughter and wife who also happens to run a few stand-out businesses that support the dreamer and doer. She lives on coffee and red wine mixed with a lot of babywearing, deadlifts, and dry shampoo. You can find her surveying the cheese stick selection or making sure Joey hasn’t lost his snack. Rachel Heckmann is an online product shop biz boss and a mentor for heartfelt entrepreneurs. She is a humbled mama and grateful wife who spends her days sipping on coconut La Croix, chasing sweet Knox, and empowering women to choose joy and gratitude in the midst of messy hair and #allthefeels. It’s a simple episode this week, folks! Adam and Nicole sit in the kitchen and chat candidly about their life as a self-employed, married couple. They chat about business goals for each of them, roles for each other, and favorite household chores. .
You’ll get a sneak peak into a weekly, if not daily, conversation between two self-employed, passion driven people who also happen to be passionately married and rooting for each other. Goals, aspirations, roles and household responsibilities are chatted about and then pizza, yet again, is eaten in the Andreini home. Once again, we welcome Rachel’s husband, Joel, to the podcast. They chat about their current “system” of sharing responsibilities in home life. They chat a little bit about what they are working on in marriage and what’s going well for them. You’ll get a little sneak peek into their current schedule, Joel’s work, and why they are somewhat struggling to balance all the things right now. There’s a lot of changes going on in their life, so it’s the perfect time to hear how they are doing their best to take things as they come and adjust. As always, you get a little sneak peek into the idiosyncrasies of their relationship. This week we are talking all about the ins and outs of our business and what it’s REALLY like to be in our heads. Spoiler alert: we are a lot less organized than you might expect. We get honest and candid and share about our biggest “failures” and the moments when we were devastated in business. You’ll hear the pizza delivery guy show up at Nicole’s door and Rachel’s internet slow for a moment. It’s us in our natural habitat and we are so excited to welcome you a little more behind the scenes into our day-to-day life. We share about what we truly think it takes to be successful and how we’ve found that recently. Rachel shares about what she wants to do with her garage and Nicole talks about her kitchen cabinets. There’s laughter and honesty and we think you’ll love this episode. Grab that coffee, friend! We can’t wait to chat. We are delighted to welcome Shay Cochrane onto The Mompreneur Podcast! After eight years as a wedding and portrait photographer Shay felt her passion and creativity beginning to wane. After a light bulb moment in Home Goods (of all places!) she made the almost overnight decision to jump head first into the unknown world of styling and product photography. She deleted eight years of wedding photography off of her website, landed her first commercial client and has never looked back. In 2013 she created the SC Stockshop and inadvertently launched an entire "styled stock photography" industry! In 2017 she added the launch of the Stockshop's little sister shop, Social Squares, which provides styled stock imagery for social media. By God's grace Shay is married to her best friend of 12 years, has two daughters and lives in sunny Tampa, FL. This conversation is full of tangible tips to live an intentional life as a Mama and Entrepreneur. Shay is wise and so good at setting boundaries! We know you will be challenged to make changes in your life; just like we were! 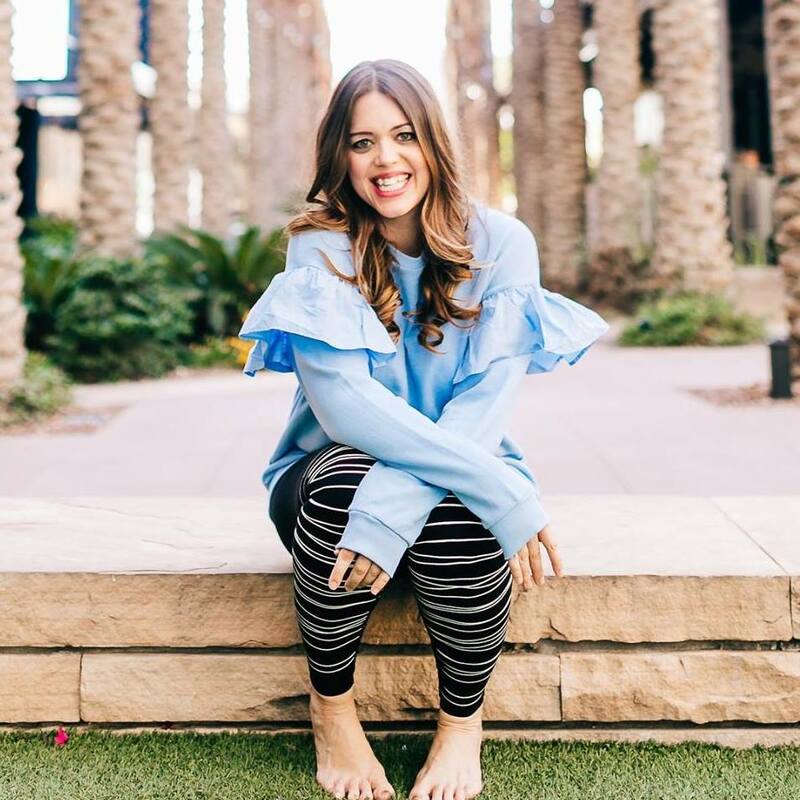 Today, Rachel and Nicole are lucky enough to welcome the strong and amazing, Kelsey Baldwin onto the Mompreneur podcast. We talk about how one day she woke up happily married, and by dinner time she was pregnant and her husband wanted a divorce. You will learn about her amazing daughter Poppy and what routine they adhere to right now. She shares about grief and how she managed it while being pregnant and recently divorced. Kelsey is also self-publishing the book Strong Girl, Brave Girl and you can get free access to the introduction. This mama is strong, wise, and beautiful. There’s something for everyone in this episode and we hope you take a listen. The Book! Available Oct. 21 on amazon: Paper and oats for sample to read! We’ve got a short little update today with what’s been keeping Nicole and Rachel busy lately! We had every intention of talking about maternity leave, too, but our stories went too long and we are saving our tips and tricks for another episode. BUT we do share our birth stories and all about the days and moments we each welcomed our baby boys into the world. Nicole begins by sharing her slightly early and incredibly fast labor story. She talks about how the nurses didn’t believe she was in labor and almost sent her home. Joey arrived quickly and without complication, very similarly to how he lives life now. Rachel then shares her labor story with Knox, and how her birth plan didn’t go according to plan at all. Knox arrived quickly as well, and Rachel talks about the process of grieving the loss of her “ideal” birth plan, but how she is so incredibly grateful that Knox and her came out safely and perfectly after all. If you’d like to read more about our birth stories, and see some of our favorite things for newborns, head on over to the links! This week, Nicole is simply storytelling, with a raw and honest story about her health journey into motherhood. She begins by talking about a particular day she remembers in vivid details, and then dives into what led the doctors to tell her she probably would never have children of her own. Nicole’s health journey mostly relates to her reproductive health, a storyline that many moms can relate to. Her hope with this episode is to shed transparent light on the fertility subject, and how it can be isolating and sometimes feel shameful to share. You’ll learn about Nicole’s battle with cramps, fibroids, extreme weight loss, depression and finally, PCOS, but came out on top with sweet baby Joey almost a decade later. So, grab a tissue if you think you’ll need it, and hug your babies tight, and get comfortable with a good story over coffee. Don’t forget to like our Facebook page and follow along on Instagram! This week begins the two week series of solo episodes with Rachel and Nicole! This time of year has been pretty busy for us, so we were having a hard time finding time to get together to record. So we thought we would try something fun and see if y’all like it or not. Rachel begins the episode chatting about something she sees on social media and wants to challenge and question the way we sometimes approach comparison. If you often find yourself comparing your life or success to someone in Instagram, you should take a listen. I get pretty honest and share some advice that I don’t hear other people sharing. Rachel also drops some business advice, shares some health and wellness tips, and talks a lot about how she plans ahead for her business. If anything, you’ll learn that she’s scrappy and doesn’t actually know what she’s doing but is happy to share what has worked for her in the past. You will learn a little bit about the role Joel, her husband, plays in her business and how they balance family time with her work schedule. There’s a little something for everyone in this episode, and if you’re wanting to get to know Rachel a little more, then this is the episode to tune in to! Reheat your coffee, grab your ear buds, and get comfortable. We are about to be BFFs. We are wildly excited to welcome Heather Crabtree to The Mompreneur Podcast this week! If you’ve come in contact with Heather in real life or online, you know that she exudes positivity, grace, and kindness. She is humble, kind, honest, and oh so smart. With a law degree in hand, she started her first post-law firm business hours at age 24, gained a business partner at 28, and sold the business 6 years later to start her current business. Now she mentors and speaks to lady entrepreneurs around the globe each year, encouraging and teaching women how to run a Savvy business + live a fulfilling life. She loves to share business tips, real life mamahood, leadership advice and bring awareness to pediatric cancer. Business aside, Heather is also a proud mom to her littles, London and Lane, and wife of 14 years to her husband, Cole. You can usually find her curled up reading a good book, on her computer helping savvy sisters run a successful business or snuggling with her kids and hubby. She loves kettle corn, Harry Potter, sunny days sitting outside by the pool and mornings filled with meditation, journaling and cappuccinos. In this episode, Heather shares about how she started as a lawyer, where that led her, and how she formed the business she runs today. We will also get to hear about her daughter London and how Cancer completely changed their life 1.5 years ago. In this episode, Heather drops some amazing business advice and uses her 15+ years of experience to encourage us and help us focus on what matters most. It’s a good gut check and you will walk away with a new drive to choose positivity and strategic tips for rocking your business! Pop in those earbuds and let’s dive in! We are so glad you’re here today, Mama. There’s so much we could say about this episode. We attempted to have an episode dedicated to solely to practical tips and helpful insight about a certain topic. Which, we did. However, it was not without deep dives into our backgrounds and our own individual health journey’s; which is not simple. Rachel shares all about a new song she made up and how she hopes it hits the top charts, eventually turning her into an overnight YouTube sensation. And then immediately unearths her personal struggles with an eating disorder. She shares about her process to overcome and how health and wellness played a role in her recovery. You will hear Nicole share about her own physical health struggles and how she overcame the diagnosis of never being able to have kids. She talks about what type of meat her family eats and how she used diet to completely heal multiple health issues. Nicole then shares about her experience at the gym and how lifting heavy weights is what makes her feel alive, while Rachel shares her exercise preferences. It’s not surprising that both Rachel and Nicole have different experiences and find wholeness and health in different ways. 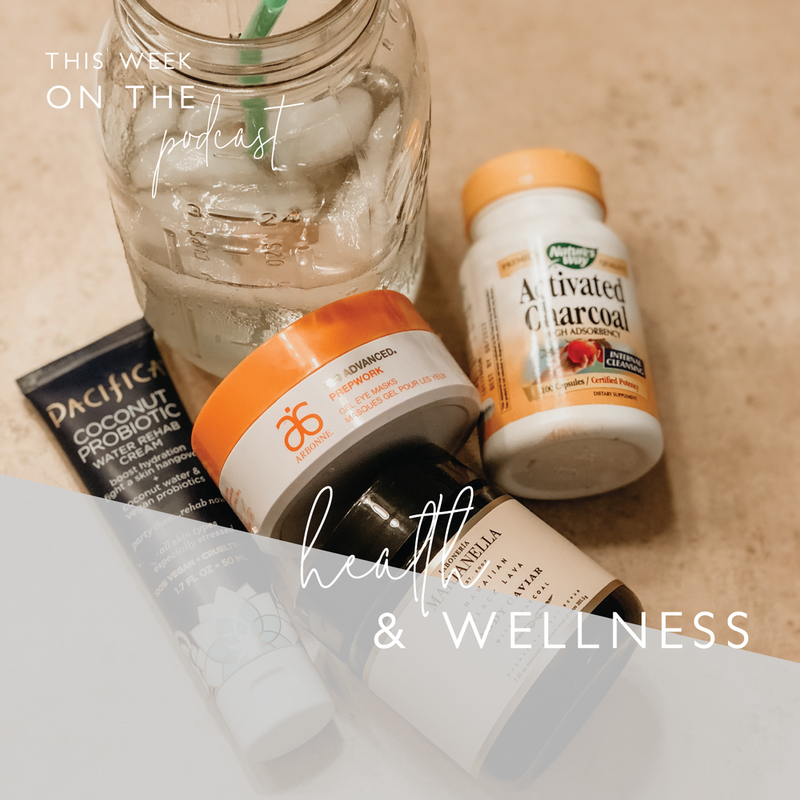 While we might not be professionals in the health and wellness industry, we are both educated and come to the table with experience and helpful insight for the modern Mompreneur. You’ll learn what type of muffin we would be, our simple tricks to stay healthy, and what balance looks like in our life. Like always, we will laugh and talk about deep heart issues, all while attempting to make you feel like you're not alone and that there’s always a place for you at the table. Wow. This candid, super raw episode is a doozy for anyone going through a time of self-reflection, self-doubt or just plain hard momma times. 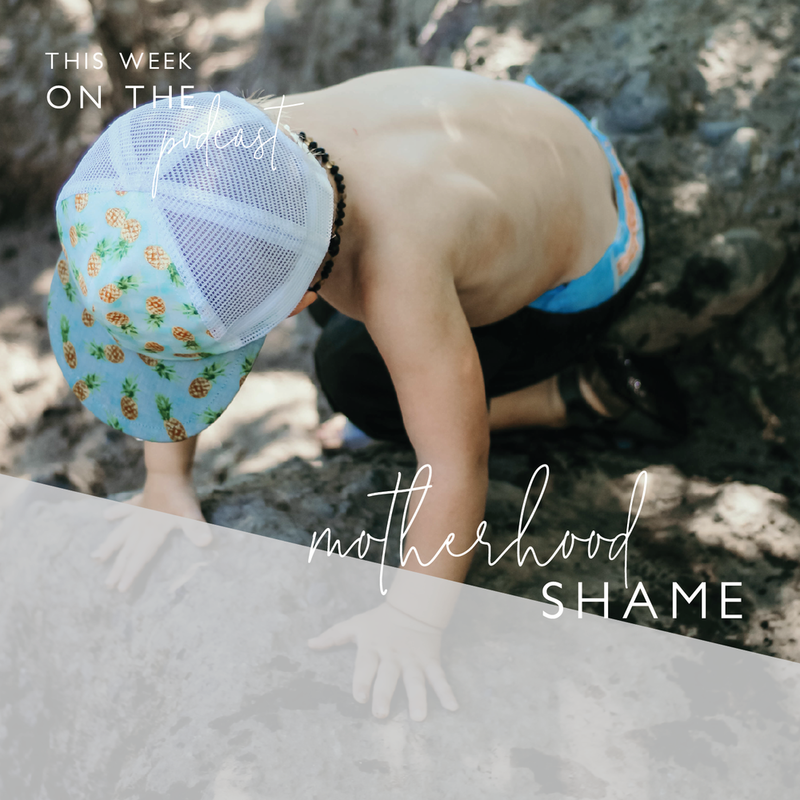 Nicole starts the conversation with a topic and we dive into the struggle Nicole is currently navigating regarding mom shame, guilt and feelings of question. It’s hard not to listen to the critics, and after a few different triggers, Nicole finds herself falling victim to listening to the negative. Nicole and Rachel talk about the choices we make in parenting, the truth behind our own values and ambitions, and the conversation dives deep into some shame triggers Nicole faces on the daily, that she’s sure she shares with others as well. We dive into the struggle of finding value in our work AND our roles as mothers. We talk about raising adventurous boys and raising humans who make kind and wise and smart decisions. There’s a lot of vulnerable moments in this episode, as Nicole flushes out a deep dark place in her motherhood journey, and Rachel provides incredible insight, motivation and peaceful encouragement while also walking this path herself. Of course, there’s tangents about tampons and vibrating facial cleansers and other random quirks, but you’ll adore the episode, we’re sure, nonetheless. If you’ve ever come in contact with Laura in person or online, you know that she’s a special person. She’s kind, wise, generous, and always in pursuit of deep connections. It’s something we adore about her! Laura Foote is a branding + lifestyle photographer, and educator based in Tampa, Florida. 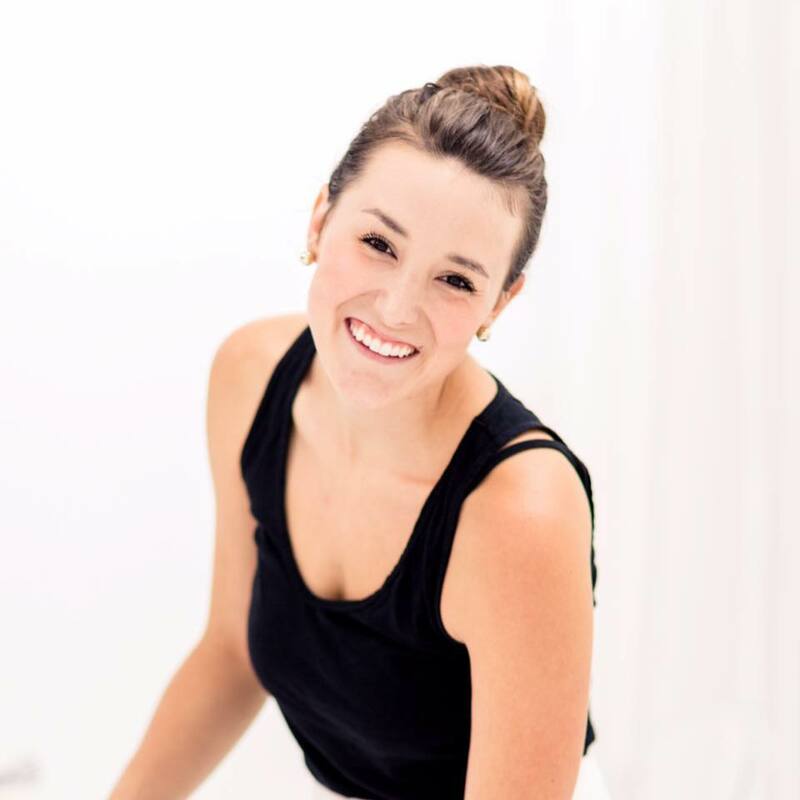 Her work has been featured in Better Homes & Garden, Southwest Airlines, and Southern Weddings Magazine as well as by brands like Lauren Conrad, Emily Ley, and Glitter Guide. Additionally, Laura holds a Master's Degree in Counseling and Instruction and is a former University faculty member, Disney Cast Member and StrengthsQuest™ certified educator. Recently Laura launched her first online course, The One Hour Workflow, and she also teaches moms & creatives to rock their camera every month in a "Shoot in Manual Online" course. She lives outside of Downtown Tampa with her actor husband (and high school sweetheart)!) Jordan, daughter McCartney, and two funny rescue dogs. Any day that ends with good food, red wine, and conversations that go 10,000 feet deep are the best in her book! Today, we talk about her journey to become a mom and how her story is different than most. She shares the whirlwind that the past couple of years has been and how she has learned how to parent her now 13-month old backwards. She is a travel guru and has traveled with her little one since Mac was a few weeks old, so we make sure she shares her travel tips and how to help your baby be flexible. Laura’s kind spirit, wise insight, and deep vulnerability will speak to your heart and we can’t wait to share her interview with you today. If you know Megan, you know how incredible she is. Megan is a momma, a wife, a creator, a strategist, an entrepreneur, and most importantly, a loving and open soul that we adore. 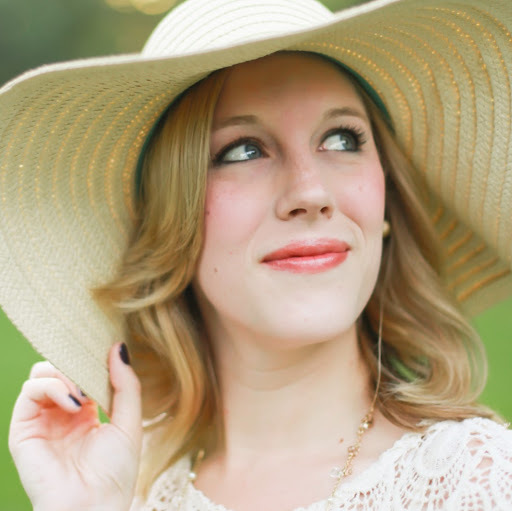 Megan Martin is a writer, speaker, graphic designer, and photo stylist at Megan Martin Creative, a design & lifestyle studio producing relevant educational and inspiring content for creatives and mompreneurs. She is on a mission to encourage and equip creative women with tools and community to do business well after serving over 5 years as a wedding planner and brand designer. Her blog serves to be an open and honest place for small business advice from starting, to branding, marketing, social media, systems, and encouragement and the Template Shop provides ready-made tools to help elevate brands and client experiences across the creative industry. When she's not running her business, traveling to conferences, or flipping homes with family, you can find Megan living out her biggest dream of a joyful life with her husband Jeremy, two little girls, and baby boy in sunny Florida! Today we chat about all things mompreneur. We talk about marriages with two entrepreneurial spirits but opposite personalities, overcoming perfectionism, embracing our toddlers’ spirits, and getting the best husband pep talks. Megan drops some amazing tidbits of mompreneurship knowledge and gives us an uplifting and heartfelt coffee chat that is much needed in this little space. Okay, Mamas, this episode is a real, raw one. Rachel comes to the conversation with a question and we take a deep dive into our struggles with being a Mompreneur and whether or not the struggle is worth it. We are exhausted and tired and we are constantly trying to balance it all. We work hard to keep a schedule so we can work during naps, we work at night or on the weekends, we sacrifice time with friends, and we forego sleep. But, is it worth it? We wish we could say that we definitely answered this question in this episode. We didn’t. But, what we did do is have a really honest conversation about letting things go, priorities, and finding value in our work. Rachel shares about her struggles with not over working or hustling, and how crossing things off her list doesn’t actually bring her peace. She really dives into her struggle with wanting to be busy all the time and feeling like a failure if her to-do list is empty. We talk about how we don’t feel productive when we are “just” a mom and how maybe our priorities aren’t in the right place. There’s a lot of vulnerability in this episode and we share real, honest hardships. We also talk about ambition and contentment and how we both struggle with our business endeavors being “enough”. We briefly talk about how we started the podcast, job hunting (gasp! ), and our resumes--or lack thereof. Rachel shares about her struggle to be off of social media and how she feels the pressure to be present on social media as a product shop owner. We discuss how we feel the need to meet the needs of our audience and the fact that we need stronger, better emotional boundaries. Shortly after that, you will notice we take a long tangent about TV shows, Shonda Rhimes, and books we are reading. Join us as we think about and struggle with the “balance” of Mompreneurship and where we find our value. The books we discussed can all be found here. In this episode, Adrienne shares practical tips for balancing work, motherhood, AND marriage, while also sharing about her heart for marriage and why it matters. She gives ideas for intentional planning and how to make space for it. We talk about mothering, why you need a tribe, and the gravity of what it means to be raising the next generation. Our work is important, but mothering is of the utmost importance. 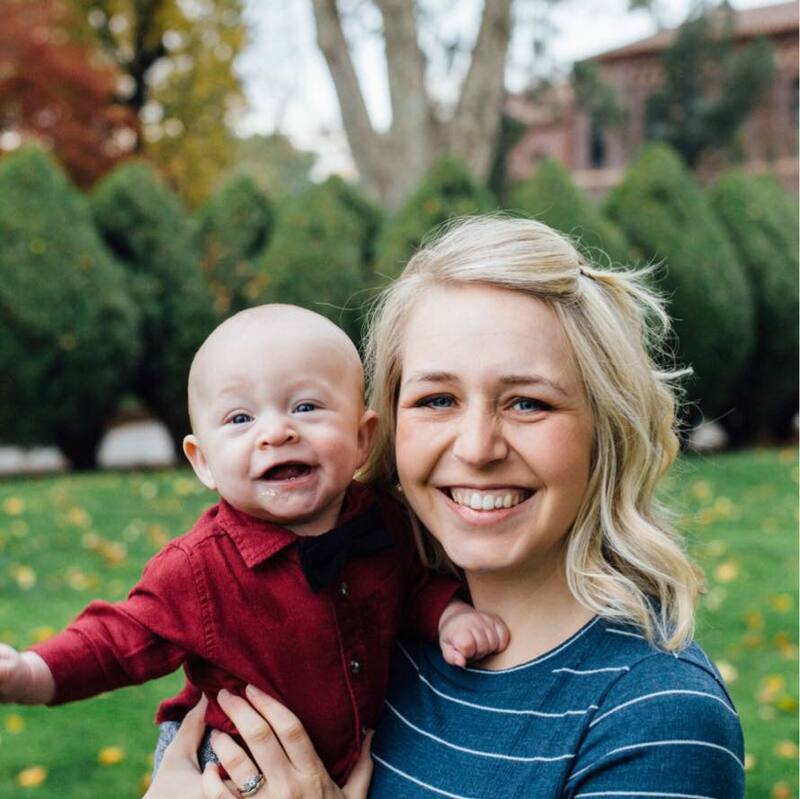 She will share about her schedule (and amazing sleeping babes...we are still in shock), how she works and mothers without childcare, and her tip for surviving long wedding days away from her littles. We KNOW you will fall in love with her joyful spirit, kind personality, and gentle heart. Grab a cup of coffee, put in your earbuds, and make time to feel encouraged and blessed.